Here is my swap for the Stampin Up! Conference next weekend. 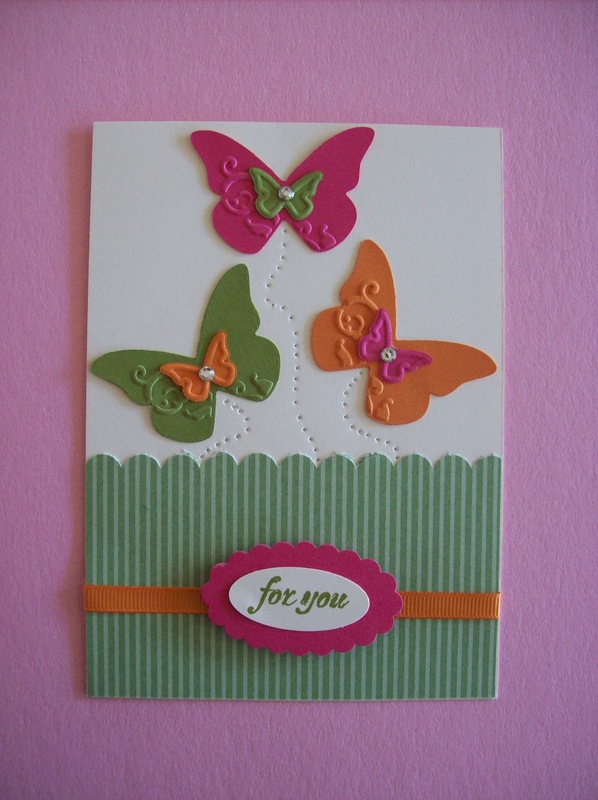 Card stock: Very Vanilla, Old Olive, Melon Mambo and Pumpkin Pie. Accessories: DSP Brights, Pumpkin Pie Grossgrain Ribbon, Scallop Oval Punch, Oval Punch, Beautiful Wings Embosslits Die, Paper Piercing Tool, Rhinestone Jewels and Scallop Boarder Punch.